Sirius XM Holdings Inc. (NASDAQ: SIRI) is the world’s largest audio entertainment company, and the premier programmer and platform for subscription- and advertising-supported audio products. With the recent addition of Pandora Radio, the largest streaming music provider in the U.S., SiriusXM reaches more than 100 million people with its audio products. Sirius XM Holdings Inc. is followed by the analyst(s) listed above. Please note that any opinions, estimates or forecasts regarding SiriusXM Radio's performance made by these analysts are theirs alone and do not represent opinions, forecasts or predictions of SiriusXM Radio or its management. SiriusXM Radio does not by its reference above or distribution imply its endorsement of or concurrence with such information, conclusions or recommendations. Joan L. Amble has been a director since August 2008. From December 2006 to August 2008, Ms. Amble served as a director of XM Satellite Radio Inc. Since October 2016, Ms. Amble has been an independent advisor to the Risk and Audit Committee of the Executive Committee of the United States affiliate of Société Générale S.A., a French multinational banking and financial services company. Ms. Amble has served as Executive Vice President and Corporate Comptroller for American Express Company from December 2003 to December 2011. Prior to joining American Express, Ms. Amble served as chief operating officer and chief financial officer of GE Capital Markets, a service business within GE Capital Services, Inc., overseeing securitizations, debt placement and syndication, as well as structured equity transactions for General Electric Company business. From 1994 to March 2003, Ms. Amble served as vice president and controller for GE Capital. George W. Bodenheimer has been a director since September 2013. Mr. Bodenheimer was Executive Chairman of ESPN, Inc., a multimedia, multinational sports entertainment company from January 2012 until May 2014. He served as Co-Chairman of Disney Media Networks from April 2004 until January 2012 and as President of ABC Sports from March 2003 until January 2012. Mr. Bodenheimer was named President of ESPN in November 1998, a position he held until January 2012. Mr. Bodenheimer joined ESPN in 1981 and served in a variety of senior sales and marketing positions prior to his appointment as President. Mr. Bodenheimer serves as a member of the board of directors of Under Armour, Inc.
Mark D. Carleton has been a director since December 2014. Mr. Carleton previously served as a director of Sirius XM Radio Inc. from January 2013 to September 2013. Mr. Carleton has been the Chief Financial Officer of Liberty Media Corporation (“Liberty Media,” which term includes its predecessors), Liberty Broadband Corporation (“Liberty Broadband”) and Liberty Interactive Corporation (“Liberty Interactive”) since October 2016, and served as the Chief Development Officer of Liberty Media, Liberty Broadband and Liberty Interactive from January 2016 until October 2016. Prior, Mr. Carleton had been Senior Vice President of Liberty Media Corporation since December 2003. Prior to joining Liberty Media, Mr. Carleton was a partner at KPMG LLP from 1993 to 2003, where he also served as a member of KPMG LLP’s Board of Directors. Mr. Carleton currently serves as a director of Live Nation Entertainment, Inc., Barnes & Noble, Inc., Ideiasnet, Mobile Streams, Inc. and Air Methods Corporation. During the preceding five years, he also served as a director of Ticketmaster Entertainment, Inc. and The DIRECTV Group, Inc.
James P. Holden has been a director since August 2001. From October 1999 until November 2000, Mr. Holden was the President and Chief Executive Officer of DaimlerChrysler Corporation, one of the world's largest automakers. Prior to being appointed President in 1999, Mr. Holden held numerous senior positions within Chrysler Corporation during his 19-year career at the company. Mr. Holden is the Lead Director of Speedway MotorSports, Inc., the Lead Director of Snap-On Incorporated and a member of the board of directors of Elio Motors, Inc.
Gregory B. Maffei has been a director since March 2009 and has served as the chairman of our board since April 2013. He has served as a director and the President and Chief Executive Officer of Liberty Media since May 2007, Liberty Broadband since June 2014 and Liberty TripAdvisor since July 2013 and has served as Chairman of the Board of Liberty TripAdvisor since June 2015. Mr. Maffei has served as the President and Chief Executive Officer of Liberty Interactive since February 2006 and as a director since November 2005. He also served as its CEO-Elect from November 2005 through February 2006. Mr. Maffei served as President and CFO of Oracle Corporation from June 2005 until November 2005. Mr. Maffei served as Chairman and Chief Executive Officer of 360networks from January 2000 until June 2005. Previously he served as CFO of Microsoft and Chairman of Expedia. Mr. Maffei also served as the Chairman of the Board of Live Nation Entertainment, Inc. since March 2013 and a director since February 2011, a director of Charter Communications, Inc. since May 2013 and a director of Zillow Group, Inc. since February 2015, having previously served as a director of its predecessor, Zillow Inc., from May 2005 to February 2015. Mr. Maffei served as a director of Barnes & Noble, Inc. from September 2011 to April 2014, as a director of Electronics Arts, Inc. from June 2003 to July 2013 and as the Chairman of the Board of Directors of Starz from January 2013 to December 2016. Evan D. Malone has been a director since May 2013. Dr. Malone has served as President of NextFab Studio, LLC, a high-tech workshop offering technical training, consulting, and product design and prototyping services, since June 2009 and has been an engineering consultant for more than the past five years. Since January 2008, Dr. Malone has served as the owner and manager of a real estate property and management company, 1525 South Street LLC. During 2008, Dr. Malone also served as a post-doctoral research assistant at Cornell University and an engineering consultant with Rich Food Products, a food processing company. Dr. Malone has served as co-owner and director of Drive Passion PC Services, CC, an Internet café, telecommunications and document services company, in South Africa since 2007 and served as an applied physics technician for Fermi National Accelerator Laboratory, part of the national laboratory system of the Office of Science, U.S. Department of Energy, from 1999 until 2001. He also is a founding member of Jet Wine Bar, LLC, a start-up company in Philadelphia, which began operations in 2010. Dr. Malone has served as a director of Liberty Media since September 2011 and has served as a director of Liberty Interactive since August 2008. James E. Meyer is Chief Executive Officer of SiriusXM, the largest radio broadcaster measured by revenue, with more than 32 million subscribers. Meyer oversees all aspects of the company's operations from its New York City corporate headquarters. Meyer has served as CEO since December 2012. Previously, from April 2004 to December 2012, Meyer served as SiriusXM's President, Operations and Sales. Prior to joining SiriusXM in 2004, Meyer was President of Aegis Ventures, a general management consulting company, where he provided support for SiriusXM. Before Aegis, he held a number of senior management positions in consumer electronics over a 25 year period, including as the Senior Executive Vice President of Digital Media Solutions for Thomson, a worldwide leader in consumer electronics. Prior to joining Thomson, Meyer also held senior management positions at General Electric and RCA. Meyer is Chairman of the Board of Directors of TiVo Corp., and a Director on the Boards of Pandora Media Inc. and Charter Communications, Inc.
James F. Mooney has been a director since July 2003. Mr. Mooney is the Chief Executive Officer of Four Horsemen Consulting Group. Mr. Mooney was a director and chairman of the board of directors of Virgin Media Inc., a U.K. entertainment and communications business, from March 2003 until June 2013. From December 2004 to December 2007, Mr. Mooney was the chairman of the board of directors of RCN Corporation. From April 2001 to September 2002, Mr. Mooney was the Executive Vice President and Chief Operating Officer of Nextel Communications Inc., a provider of wireless communications services. From January 2000 to January 2001, Mr. Mooney was the Chief Executive Officer and Chief Operating Officer of Tradeout Inc., an asset management firm owned jointly by General Electric Capital, Ebay Inc. and Benchmark Capital. From March 1999 to January 2000, Mr. Mooney was the Chief Financial Officer/Chief Operating Officer at Baan Company, a business management software provider. From 1980 until 1999, Mr. Mooney held a number of positions with IBM Corporation, including Chief Financial Officer of the Americas. Mr. Mooney is the Chairman of the Archdiocese of New York for Central Westchester, a member of the board of St. Thomas Aquinas College and a member of the Board of Advisors for the University of Notre Dame. Mr. Mooney was previously a member of the board of directors of Sidera Networks, LLC. Mr. Rapino has been a director since January 2018. Mr. Rapino has been the President and Chief Executive Officer of Live Nation Entertainment, Inc. (“Live Nation”) since 2005 and serves on its board of directors. Live Nation is the world’s leading live entertainment company comprised of: Ticketmaster, Live Nation Concerts, and Live Nation Media & Sponsorship. Carl E. Vogel has been a director since April 2011. Mr. Vogel is a private investor and an industry advisor for Kohlberg Kravis Roberts & Co. LP. Mr. Vogel is also a member of the board of directors of Dish Network Corporation, a satellite television provider, and a senior advisor to its Chairman. He served as President of Dish Network Corporation from September 2006 until February 2008 and served as its Vice Chairman from June 2005 until March 2009. From October 2007 until March 2009, Mr. Vogel served as the Vice Chairman of the board of directors of, and as a Senior Advisor to, EchoStar Communications Corporation. From 2001 until 2005, Mr. Vogel served as the President and CEO of Charter Communications Inc. Mr. Vogel is also a director of Shaw Communications, Inc., Universal Electronics, Inc., Ascent Media Corporation and AMC Networks, Inc.
David Zaslav has been a director since May 2013. Mr. Zaslav has been the President and Chief Executive Officer of Discovery Communications, Inc., one of the largest nonfiction media companies in the world, since January 2007 and a director since September 2008. Mr. Zaslav served as President, Cable & Domestic Television and New Media Distribution of NBC Universal, Inc., a media and entertainment company, from May 2006 to December 2006. Mr. Zaslav served as Executive Vice President of NBC and President of NBC Cable, a division of NBC, from October 1999 to May 2006. Mr. Zaslav also serves on the boards of Lions Gate Entertainment, the National Cable & Telecommunications Association, The Cable Center, Center for Communication, Skills For America’s Future, Grupo Televisa, Partnership for New York City and USC Shoah Foundation. He is also a member of the Board of trustees for The Paley Center for Media and the Mt. Sinai Medical Center. Ms. Salen is the Chief Financial Officer and Chief Operating Officer of UnitedMasters, an artist services company. Previously, she served as the Chief Financial Officer at Etsy, Inc. from January 2013 to March 2017. Prior to Etsy, Ms. Salen led the media, internet, and telecommunications research group of FMR LLC (doing business as Fidelity Investments) from January 2006 to January 2013. Prior to Fidelity, Ms. Salen worked in various financial and executive roles at several companies, including Oppenheimer Capital LLC, Merrill Lynch & Co. Inc., Lazard Freres & Co. LLC, and SBC Warburg. Ms. Salen is also a director of Cornerstone OnDemand, Inc., a cloud-based talent management software solution company, where she is Chair of the Audit Committee. James E. Meyer is Chief Executive Officer of SiriusXM, the largest radio broadcaster measured by revenue, with more than 34 million subscribers. Jim oversees all aspects of the company's operations from its New York City corporate headquarters. Jim has served as CEO since December 2012. Previously, from April 2004 to December 2012, Jim served as SiriusXM's President, Operations and Sales. Prior to joining SiriusXM in 2004, Jim was President of Aegis Ventures, a general management consulting company, where he provided support for SiriusXM. Before Aegis, he held a number of senior management positions in consumer electronics over a 25 year period, including as the Senior Executive Vice President of Digital Media Solutions for Thomson, a worldwide leader in consumer electronics. Prior to joining Thomson, Jim also held senior management positions at General Electric and RCA. 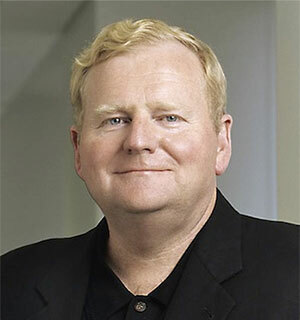 Jim is Chairman of the Board of Directors of TiVo Corp., and a Director on the Board of Charter Communications, Inc.
Patrick Donnelly has been the Executive Vice President and General Counsel for SiriusXM since May 1998, managing all of the Company's legal and governmental affairs. Pat has broad experience in corporate finance activity and management, having worked for more than 20 years as an in-house counsel and as a practicing attorney. Prior to joining SiriusXM, Pat was Vice President and Deputy General Counsel of ITT Corporation, the diversified hotel, gaming and entertainment company that was acquired by Starwood Hotels & Resorts Worldwide, Inc.
Pat began his career as an associate at the New York law firm of Simpson Thacher & Bartlett, specializing in merger and acquisitions and securities matters. Scott Greenstein, President and Chief Content Officer, leads SiriusXM’s programming and advertising sales for the largest radio company measured by revenue and one of the largest subscription media companies in the world. Since Scott joined SiriusXM in 2004, the company’s programming lineup has expanded to include more than 175 channels of commercial-free music, sports, news, comedy, talk and entertainment, broadcasting on the company’s satellite platform as well as its online listening service, SiriusXM Internet Radio. Prior to SiriusXM, Scott served as Chairman of USA Films, and before that Co-President of October Films. David Gerbitz is the Chief Operating Officer, joined Pandora Media in 2014, as the Executive Vice President of Revenue Operations, where he is responsible for monetization and yield strategy, client services and advertising operations; driving Pandora’s growth engine across all digital and broadcast solutions, across all devices and all demand channels. Previous to Pandora, David was the Vice President of global mid-market and small medium business sales at Yahoo! He also led client services as the Vice President of North America account management, sales and advertising operations. David was responsible for operationalizing sales, service and revenue on all digital platforms and solutions including search, display, native, mobile, video advertising as well as SMB self-service and commerce platforms. David was also General Manager of Microsoft Advertising’s sales strategy, operations and account management. He also held leadership positions at Amazon.com. His career has been focused on scaling and operationalizing revenue and service organizations in the hyper-dynamic digital media industry. David received his BA from the University of Minnesota. He has diverse music interests from classical to country; indie folk to rock and R&B - and most everything in between. His current Pandora station favorites: Miranda Lambert, Bag Raiders, Hipster BBQ, Sam Smith, Royal Teeth, Frank Ocean, Drake, Shawn Colvin and Cheryl Wheeler. David Frear joined SiriusXM in June 2003 as the Company's Executive Vice President and Chief Financial Officer where he is responsible for overseeing the finance, accounting, treasury, investor relations, IT, music royalties and satellite development operations. Prior to joining SiriusXM, David was Executive Vice President and CFO, and a director of, SAVVIS Communications, a global managed network services provider with operations in 44 countries. David also served as Senior Vice President and Chief Financial Officer for Orion Network Systems. Joining Orion prior to the start of commercial operations, David assisted Orion in funding the construction of the Company's global satellite system and the launch of commercial services. He also played an important role in Orion's purchase by Loral Space and Communications. David also served as Chief Financial Officer for Millicom and held management positions at Bear, Stearns & Company, Credit Suisse, Transway International and Deloitte & Touche. He received an MBA from the University of Michigan, Graduate School of Business Administration in Ann Arbor, Michigan. Aimée Lapic is the Chief Marketing Officer for Pandora where she is responsible for overseeing consumer brand strategy, market positioning, public relations and marketing communications, creative and performance-based and partnership marketing for the company. Previous to Pandora, Aimée served as the Senior Vice President / Global Chief Marketing Officer for Banana Republic as well as the General Manager of BananaRepublic.com. Aimée was responsible for global P&L accountability for the ecommerce business as well as overseeing the creative and marketing teams across the $2.8B business. Prior to leading that business, Aimée held numerous positions over thirteen years across Gap, Inc., in leadership roles, including Senior Vice President and General Manager of Gap Outlet International, where she drove 20 consecutive quarters of growth. Aimée currently serves as a Marketing Advisory Board member of Ridge Ventures, a venture capital firm focused on early-stage consumer internet and enterprise IT investments. Its current fund is $120MM. She holds a B.A. in English Literature from Princeton University, and an M.B.A. from Harvard Business School. Dara Altman is Executive Vice President and Chief Administrative Officer of SiriusXM. From January 2006 until the SiriusXM merger, Dara was the Executive Vice President of Business and Legal Affairs for XM Satellite Radio where she ran the Legal and Business Affairs Departments as well as Public Policy, Business Development, Human Resources and Facilities. Prior to joining XM, Dara was the Executive Vice President of Business Affairs for Discovery Communications, Inc. At Discovery, Dara oversaw and directed all business negotiations for Discovery's global televisions assets, including Discovery Channel, TLC and Animal Planet. In addition, she was responsible for the talent relations department, the production management department and Discovery's international television syndication businesses. Dara was also a member of the Board of Directors of the Discovery Times television network, which was a joint venture between Discovery Communications and The New York Times. During her 20-year career, Dara has also held several other key legal and management positions at entertainment media companies, including HBO. Dara began her career as an associate at the New York law firm of Willkie Farr & Gallagher, specializing in securities matters. She received her J.D. from Columbia University School of Law and her B.A. from Amherst College. As Chief Product Officer, Chris Phillips is responsible for defining and leading Pandora's overarching strategy and roadmap for product, engineering and marketing. His team develops, delivers and drives adoption of products that connect fans and artist in new ways, including on-demand, and help advertisers reach their audiences. Prior to joining Pandora, Chris was Director of Product Management and User Experience for Amazon Digital Music at Amazon. He was responsible for the product roadmap and delivery of customer experiences across device platforms and international expansion. He was also responsible for the product introduction of Amazon Prime Music. Before Amazon, Chris served as Director of Apple QuickBooks product management, marketing and user experience and led product and design for the Intuit Global Business Division at Intuit. He also held roles at Workspeed and Accenture. Chris holds a Bachelor of Science, Business Administration degree from The Ohio State University, Max M. Fisher College of Business. Chris enjoys spending time with his family, live music, playing golf, and mountain biking. Currently Chris’ favorite Pandora stations include Foster the People, Warpaint, Burning Spear, and 2Pac. Jim Cady is the Executive Vice President of Products, Operations, and Connected Vehicle Services at Sirius XM. Prior to joining Sirius XM in February of 2014, he served as the President & Chief Executive Officer of Slacker Radio, a leading streaming music service provider. Jim has 30+ years of proven success in high technology companies. Prior to Slacker, he had key leadership positions at a number of high-tech companies, including Rio Digital Audio a pioneer in the digital audio market. He has also served as a board member at a number of startup companies. Jim has numerous industry honors, most notably a "Silver Anvil Award" from the Public Relations Society of America for best consumer products marketing campaign for Rio Digital Audio in addition to more than a 100+ best product awards from industry leading publications. Jim holds a Bachelor's Degree in Marketing from Portland State University. John Trimble serves as the Chief Revenue Officer of Pandora where he is responsible for all advertising revenue, strategic sales marketing, and advertising operations. Pandora's diverse revenue streams tap display, mobile, and audio that reach consumers on their computers, mobile phones, and consumer electronic devices. Pandora’s advertising offerings utilize the super-specific aspects of internet radio: a medium that enables advertisers to reach any type of consumer, anytime, anywhere - based on a multitude of quantifiable data. Prior to joining Pandora, John was the EVP of sales at Glam Media where he helped guide the company’s revenue and product expansion. Before that, John was part of the executive team tasked by News Corp. to develop and execute the creation of Fox Interactive Media where he was part of the acquisition team that brought MySpace.com and IGN.com into the Fox Interactive Media fold. He was also responsible for building out all ad marketing and operational functions while overseeing branded sales for MySpace, IGN, Fox Sports.com, and American Idol.com. John has balanced his digital career with quality brands, in the role of Director of Sales for Sports Illustrated.com and with innovative starts ups in his position as Vice President of Sales with Phase2 Media. John received his BA from St. Lawrence University. When he is not on the road looking for ad partners, John is evolving his station list to keep relevant with his family of four children. His current Pandora line-up features the Counting Crows, the Dropkick Murphy's, Kanye West, U2, and Jack Johnson. Stephen Cook has served as Sirius XM’s Executive Vice President, Sales and Automotive, since January 2013. Steve served as our Group Vice President and General Manager, Automotive Division, from July 2008 until January 2013. Steve served as Executive Vice President, Automotive, of XM Satellite Radio from July 2006 to July 2008. He also served as XM's Executive Vice President, Sales and Marketing, from January 2002 until July 2006 and as XM's Senior Vice President, Sales and Marketing, from February 1999 until January 2002. Prior to joining XM Satellite Radio, Steve held senior management positions with GTE's cellular operations and as a Brand Manager for Procter & Gamble. Steve has an undergraduate degree from Duke University and an MBA from the University of North Carolina. Joe Verbrugge leads the Automatic Labs connected vehicle business, aftermarket product development & retail sales, and has responsibility for the SiriusXM Canada business. Since joining SiriusXM (then XM) in 2004, he has had a variety of executive leadership responsibilities spanning automotive partnerships & marketing, automotive remarketing, programming, Canadian business development and human resources/administration. Prior to joining the Company, he was a consultant with The Dealy Strategy Group LLC where, among other responsibilities, he worked with SiriusXM on satellite and business development initiatives. Joe is also on the Board of Directors for SiriusXM Canada. He received his undergraduate degree from the University of Michigan, holds an MBA from Georgetown University and completed a doctoral program at Oxford University. Barbara Daniel has served as Senior Vice President and Head of Corporate Strategy since November 2016. Barbara advises the CEO and partners with fellow Executive Committee members to drive the company's overall corporate strategy and is responsible for M&A and strategic investments. She joined SiriusXM in 2012 as Treasurer. Before joining SiriusXM, Barbara was the Corporate Treasurer of E*Trade, Chief Financial Officer of private asset manager CIFC and a Media and Telecom investment banker at JPMorgan Chase and Merrill Lynch. Barbara is on the Board of Directors for SiriusXM Canada. She has an M.B.A. from Cornell University and a B.A. from The College of William and Mary. Jennifer Witz has served as Executive Vice President and Chief Marketing Officer since August 2017. Jennifer joined SiriusXM in 2002 and has served in a variety of senior financial and operating roles during her tenure. From September 2005 to August 2017, she was SiriusXM’s Senior Vice President, Finance, from May 2003 to September 2005, she was Vice President, Finance, and from March 2002 to May 2003, she served as Senior Director, Finance. Before joining SiriusXM, Jennifer was Vice President, Planning and Development, at Viacom Inc., a global media company, and prior to that she was Vice President, Finance and Corporate Development, at Metro-Goldwyn-Mayer, Inc., an entertainment company focused on the production and global distribution of film and television content. Jennifer began her career in the Investment Banking Department at Kidder, Peabody & Co Inc. She received an MBA from Harvard Business School and a BA from University of Pennsylvania and BS in Economics from the Wharton School. To report complaints about our accounting, internal accounting controls or auditing matters or other concerns to the board of directors or the Audit Committee, you may communicate with any of our outside directors as a group or individually by sending an e-mail to nonmgmtdirectors@siriusxm.com. You may also write to any of the outside directors in c/o Patrick L. Donnelly, Executive Vice President, General Counsel and Secretary at Sirius XM Radio Inc., 1221 Avenue of the Americas, New York, New York 10020. If your question or concern is related to products, service or your SiriusXM account, please email our Customer Care team at customercare@siriusxm.com or call at 1.888.539.SIRIUS (7474). It's important to us that you have the information and access you need to answer any questions you might have. Our Investor Relations team is at the ready with answers to your questions. And if you'd like to stay current with the latest goings on at SiriusXM, just sign up for our email mailing list, and receive all the latest SiriusXM news hot off the press. Please note, if your question or concern is related to products, service or your SiriusXM account, please email our Customer Care team at listenercare@siriusxm.com or call at 1.888.539.SIRIUS (7474). Or, if your question relates to a specific SiriusXM department or you have suggestions please email genfeedback@siriusxm.com. SiriusXM's transfer agent is Computershare. If you are a registered shareholder and need to transfer stock or to change your address, contact Computershare. What is Sirius XM Holdings Inc.'s ticker symbol? How can I be alerted to future SEC filings? How can I get alerted to future press releases? How can I get a copy of Sirius XM Holdings Inc.'s Annual Report, Proxy Statement or other financial reports? How can I obtain a quote on Sirius XM Holdings Inc.'s common stock? Does Sirius XM Holdings Inc. offer a Direct Stock Purchase Program? When did Sirius XM Holdings Inc. have its initial public offering? What is Sirius XM Holdings Inc.'s current dividend policy? When did SiriusXM launch its satellites? Please sign up for our Email Alerts. Electronic copies of financial reports are available for viewing on our SEC Filings page. Information on Sirius XM Holdings Inc.'s current stock price can be obtained on our Stock Quote page. The quote provided is delayed approximately 15 minutes. No, Sirius XM Holdings Inc. does not offer a Direct Stock Purchase Program at this time. SiriusXM was incorporated on May 17, 1990 as Satellite CD Radio Inc. The name changed to SIRIUS Satellite Radio Inc. on November 9, 1999. The name changed to Sirius XM Radio Inc. on August 5, 2008. SiriusXM went public on September 13, 1994. At present, SiriusXM does not pay a dividend. SIRIUS-1 was launched on June 30, 2000. SIRIUS-2 was launched on September 5, 2000. SIRIUS-3 was launched on November 30, 2000. SIRIUS-5 was launched on June 30, 2009.SIRIUS-1 was launched on June 30, 2000. SIRIUS-2 was launched on September 5, 2000. SIRIUS-3 was launched on November 30, 2000. SIRIUS-5 was launched on June 30, 2009. SIRIUS-6 was launched on October 25, 2013. XM-1 was launched on May 8, 2001. XM-2 was launched on March 18, 2001. XM-3 was launched on February 28, 2005. XM-4 was launched on October 30, 2006. XM-5 was launched on October 14, 2010.